Find out how they created they dream home, then explore more real home transformations and extensions. Shortly after moving in, the couple contacted architect Tom Kaneko to redesign their home, giving him a brief that included creating an open-plan kitchen, garden views and a downstairs toilet. ‘We love metal-framed windows, so we wanted to have them somewhere, too,’ says Vic. However, part way through the work, Vic and Tom added the renovation of the bathroom to the list, as well as replacing all the uPVC windows with double-glazed wooden sashes. ‘We realised it was better to get all the disruption over in one go,’ explains Vic. These additional items and some delays meant the project took 10 months. ‘We decamped upstairs for most of the build and made do with a makeshift kitchen in the loft,’ she adds. It might be a cliché, but the new kitchen is the heart of Vic and Tom’s redesigned home. Walking into their house today, you go through a door to the left of the hallway and you’re straight into a bright, open space leading from the front to the back of the house. Extensive views of the garden draw you through to the modern extension at the rear, which is where the family now spend most of their time. The new space is filled with natural light thanks to several rooflights and the wall of Crittall windows and doors that Vic and Tom were so keen to include in their home. As a digital editor, Vic has worked for BBC Good Food, Delicious and UKTV Food. 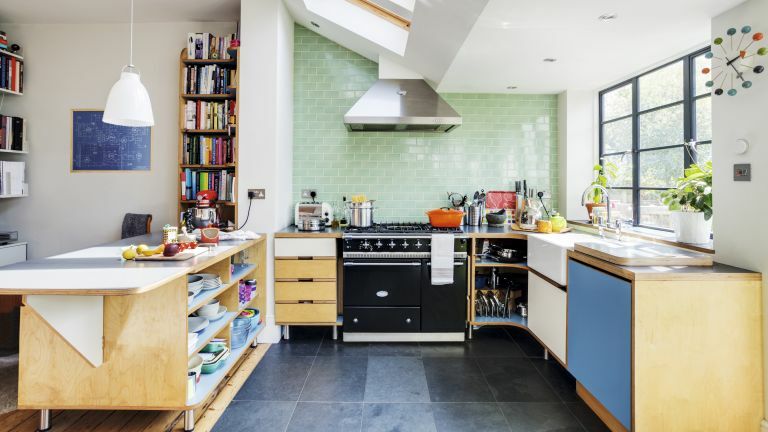 ‘Over the years I’ve learned a great deal from my colleagues about what makes a good kitchen,’ she says. In addition to the main building work, the couple also reconfigured the rest of the space, allowing them to find room for a downstairs bathroom and spacious larder. With the project completed, was it worth all the hard work? Need more real home inspiration?